Cute, fun, and so distinctive, daisies remind us of a carefree childhood and are the favorite flower of many. 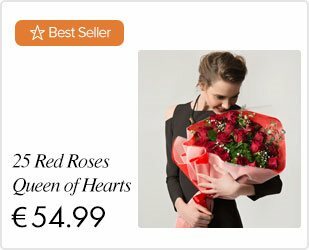 This pretty symbol of love, loyalty, and purity comes in a range of colors and varieties and makes a sweet addition to any floral arrangement. When most of us think of this simple but cheerful flower, we think of yellow, white or pink daisies. Nonetheless, daisies come in an assortment of bright and even exotic hues. Thus, with their exuberant appearance, daisy arrangements are ideal for sending to a special friend as a birthday bouquet. Traditionally, daisies represent new beginnings, so a daisies bouquet makes a perfect gift for new mothers to welcome their baby into the world. The traditional yellow daisy or Little Rays of Sunshine offers a message of hope and renewal, so send these daisies to a close friend or relative in need of support, or to someone making a fresh start in life. 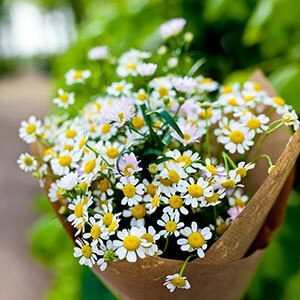 A bouquet of colorful daisies might be also the best way to send your "Get well soon" wishes to your loved ones. A really feminine flower, daisies are also lovely in fresh bridal bouquets. LolaFlora might create a daisy bouquet with all white daisies or accent it with red and white roses or a rich flower such as purple lilies. Mix together colorful daisies such as Gerberas with carnations for wedding centerpieces that are budget-friendly but beautiful. Dainty, colorful daisies are reminiscent of fun and freedom during our youth; images of children weaving daisy chains in the park and pulling petals reciting "he loves me, he loves me not" spring to mind. These blooms have a fresh, pure semblance, with connotations of simplicity and innocence. Gerbera daisies, with their vibrant colors and large cheerful faces never fail to bring joy to the recipient! A daisies bouquet of mixed tones and textures is the perfect way to let someone know you are thinking of them, in times of happiness or difficulty. White daisies are also sentiments of peace and are thus popular in funeral sprays or wreaths. LolaFlora offers online funeral flowers and will deliver them to a home or church. Sympathy plants or potted flowers are also available for delivery. LolaFlora allows you to order flowers online and have them delivered internationally with absolute freshness and quality guaranteed. 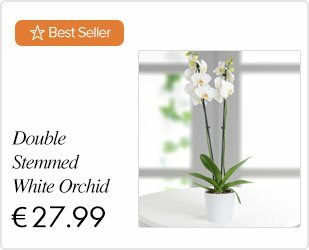 Our online florist offers same day flower delivery and has a wealth of choice when it comes to daisy arrangements, whether you are looking for a simple, chic bouquet or a vivid arrangement bursting with eye-popping color! Why not celebrate a joyous occasion or send a friend a perfect pick-me-up with our range of daisies bouquets?